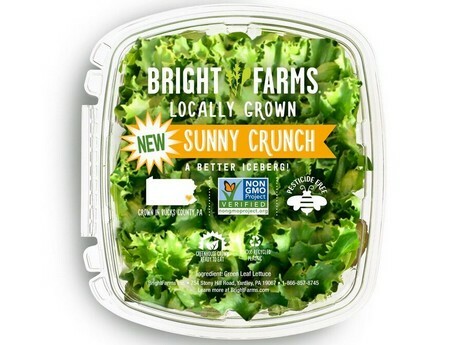 BrightFarms, a brand featuring locally grown packaged salads, is expanding its customer base to new stores and markets around the country. The company grows salad greens and herbs in hydroponic greenhouses to supply consumers with year-round local produce. BrightFarms produce will now be available at Dierbergs, Food Lion, Jungle Jim's, Misfits Market and Tops Friendly Markets. The company also said it is expanding its reach in the Ohio market through partnership with Jungle Jim's International Markets. Salad greens for Jungle Jim's will be sourced from BrightFarms' greenhouse in Wilmington, Ohio. Tops Friendly Markets will also carry greens from the Wilmington greenhouse. The company said it will supply over 140 Tops stores throughout New York, Pennsylvania and Vermont. BrightFarms’ Culpeper, Va. greenhouse will supply Food Lion stores in Richmond and Lynchburg, Va., which are located just two hours from the greenhouse. It is entering the St. Louis metro in Dierbergs Markets. Dierbergs will carry greens, as well as unique lettuce varieties that include Sunny Crunch and Fresh Kick. Produce for the St. Louis market will be sourced from the BrightFarms greenhouse in Rochelle, Il. The company also partnered with Misfits Market, a delivery box service that ships imperfect or “ugly” produce to customers in Pennsylvania, New Jersey and Delaware. 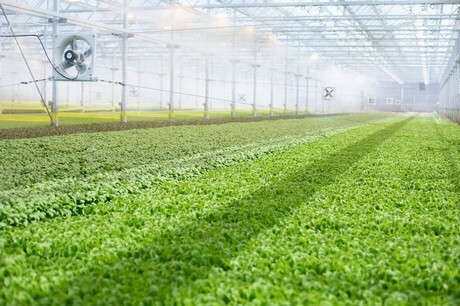 Though BrightFarms said its greens are in perfect condition, the company will supply excess yields from the Bucks County, Pa. greenhouse to support Misfits Market’s goal of reducing food waste. BrightFarms’ declared its hydroponic greenhouses use 80 percent less water, 90 percent less land and 90 percent less shipping fuel when compared to long distance growers. The proximity of the greenhouses to stores ensures salad greens are delivered within 24 hours of harvest.